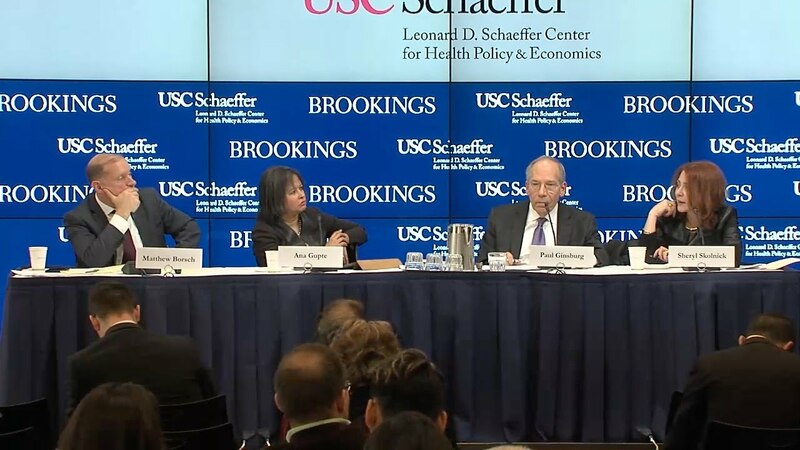 On Tuesday, November 15, the Leonard D. Schaeffer Initiative for Innovation in Health Policy, a partnership of the Brookings Institution Center for Health Policy and the USC Schaeffer Center for Health Policy & Economics, hosted the 21st annual “Wall Street Comes to Washington” Roundtable to explore the broad market trends shaping the health care system and how the political climate affects the outlook for health care companies. An expert panel of Wall Street analysts, moderated by Paul B. Ginsburg, director of the Center for Health Policy at Brookings, discussed ongoing health reform implementation; open enrollment in the health insurance marketplaces; the growing Medicaid managed care market; regulation of insurance markets; insurance market consolidation; provider payment reform and integrating care delivery; underlying health care spending and insurance premium trends; hospital pricing and consolidation; hospital-physician relations; the outlook for Medicare; and other issues. The mission of the Leonard D. Schaeffer Center for Health Policy & Economics is to measurably improve value in health through: evidence-based policy solutions, research excellence, transformative education, and private and public sector engagement. The Schaeffer Center is the result of a unique collaboration between the University of Southern California Sol Price School of Public Policy and the School of Pharmacy. Established in 2007, the Center for Health Policy at Brookings is dedicated to providing practical solutions that achieve high-quality, innovative, and affordable health care throughout the United States. To achieve its mission, the Center conducts research, develops policy recommendations, and provides technical expertise to test and evaluate innovative health care strategies. 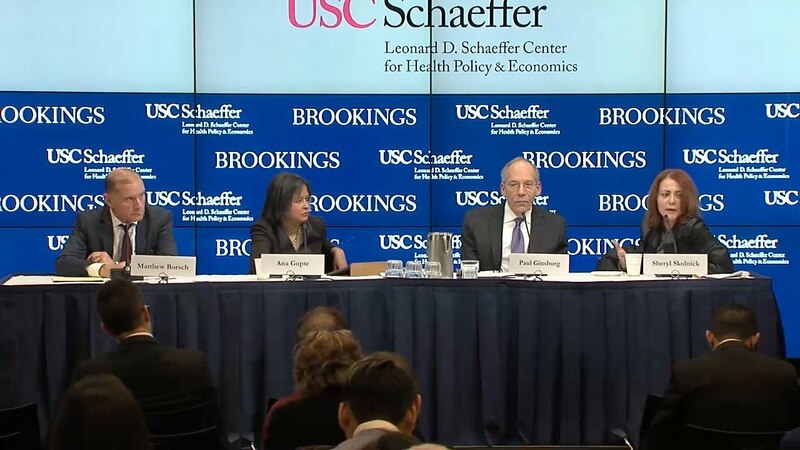 The Center also leverages the USC Schaeffer Initiative for Innovation in Health Policy, a collaboration with health data and analytical experts at the University of Southern California.